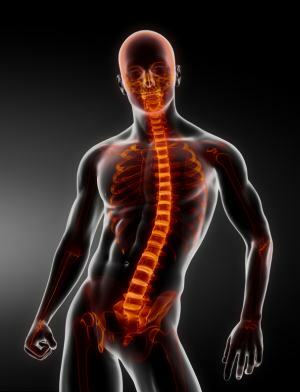 Whole body imaging seems likes a complex technology that would require a long period of time to take “pictures” of internal organs from head to toe. A MRI of a body part can, indeed, take up to 1 hour. However, the reality is that if you have traveled internationally over the last 5 years by airplane, you’ve already experienced a full body scan. The Transportation Security Administration (TSA) began to implement whole body scanners in U.S. airports in 2008 to detect both metallic and non-metallic threats to air travel. Why do these devices scan the body so quickly, compared to CT or MRI scans? There are two types of imaging technologies used in scanners. One utilizes low intensity x-ray, called backscatter x-ray, and produces a black and white etching image. Because of its low intensity, it cannot penetrate the tissue as deeply as the x-ray imaging done in a clinical setting and the x-ray image produced by the airport scanner shows objects on top of the skin surface. Another type is a millimeter wave scanner, which emits non-ionizing radiation and detects reflected radiation at various frequencies to produce an image. In medicine, the indication, efficacy and long-term effects of whole body imaging have been investigated. Whole body imaging is commonly used for cancer patients. When a cancer is detected at a site, whole body imaging can aid in detection of cancer spreading to remote areas, staging, and, consequently, treatment plans. Whole body imaging in this context is more involved than the airport body imaging. Internal organs are visualized in this type of imaging, albeit various resolutions depending on methods (CT, MRI, or PET), for detection and localization of cancer. Multiple modalities of imaging can be combined, and contrast can be added, as well. Each of these whole-body imaging techniques has specific applications and limitations in the assessment of different types of disease; it is difficult to say one technique is better than the others for a given disease and this has to be discussed with the treating physician. A routine use of whole body imaging has been considered. Some may wonder if it can be used on a person with no particular symptoms with the hope of detecting cancer before it becomes big, symptomatic and incurable. Whole body imaging for this application is not currently supported by research or the medical community. Long-term effects of radiation exposure to detect a low-likelihood cancer cannot be ignored. (No one would want to develop cancer from the process of trying to see whether he or she has one.) And the imaging can detect a small abnormality that would have to be further worked up but may be found to be benign and will never become a problem during the patient’s lifetime. The work up may possibly involve a procedure like a biopsy or surgical removal that is invasive and potentially harmful to the one undergoing the procedure. Even if one decides to forego a procedure, the knowledge of the abnormality may remain an ongoing concern for the patient.